We have developed a number of Frequently Asked Questions to support everyone; teachers, parents and the students themselves understand their rights and responsibilities when managing type 1 diabetes at schools or early childhood settings. Q: What does ‘equal access’ mean for a young person with type 1 diabetes? 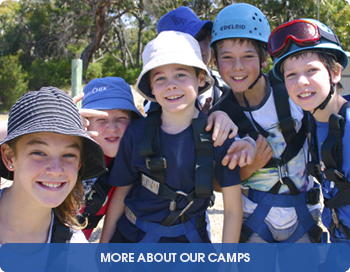 Every young person in Victoria with type 1 diabetes has the right to be included in all extra-curricular activities, including day excursions, overnight school camps and trips overseas. Victorian school and early childhood setting key staff consider what reasonable adjustments they might need to make to ensure that a young person with diabetes can safely take part in an out-of-school/early childhood setting excursion. School and early childhood setting staff adopt best practice to plan well ahead to identify any changes that need to be made. This will need to be done in good time and in consultation with the young person (where appropriate), the family and diabetes treating team. School and early childhood setting key staff who organise out-of-school excursions be aware of how a young person’s diabetes might impact on their participation and allow enough flexibility to ensure a young person can safely participate. Copies of the young person’s diabetes action and management plans and/or specific and separate camp and travel plans should be prepared by the young person’s diabetes treating team. These plans take time to develop so should be requested by parents/carers/guardians at least 4 weeks before the required date. This time frame will also allow for school support staff to undertake any required training. Q: What are my rights and responsibilities as a young person living with type 1 diabetes at school or early childhood setting in Victoria? Be treated with respect and dignity and have your needs listened to and acted upon. Q. What are my rights and responsibilities as a Victorian parent/carer/guardian of a child with type 1 diabetes at school or early childhood setting? Providing diabetes equipment, supplies, hypo food, contact details, ID bracelet etc. A separate plan will be required for camps. These plans will need to be updated annually or if there are significant treatment changes (e.g. changing from insulin injections to an insulin pump). As a parent, you will always have the main responsibility for your child’s health at school and early childhood setting. But that doesn’t mean that you go into the school or early childhood setting to do your child’s blood glucose monitoring, insulin injection or anything like that. It’s about keeping the key staff at school and early childhood setting up-to-date with your child’s diabetes management, making sure that they have sufficient training so that they understand and can follow the diabetes action and management plans. You also need to make sure they’ve got the right equipment and supplies they need to follow the diabetes action and management plans. You will be required to give your consent for any medical treatment to be given to your child at school or early childhood setting. Everyone has a role to play in looking after a young person with type 1 diabetes at school or early childhood setting – you, your child (if they’re old enough and want to), key staff at their school or early childhood setting and their diabetes treating team. Parents, carers and guardians have certain things they need to do. Here’s a list of the main points, but remember if you need any help with these, or any other aspect of looking after your child’s diabetes, your treating team and Diabetes Victoria are here to help you – you can contact Diabetes Victoria by phone on 1300 136 588 or email. Make sure a copy of the diabetes action and management plan gets to the school or early childhood setting in time for the start of the year. These plans need to be updated yearly or when treatment changes (e.g. moving from insulin injections to an insulin pump). Make an appointment with the class teacher or other appropriate staff to hand over the plans and discuss the contents. The plans cover all diabetes health tasks needed during a normal day, contact information for parents/carers/guardians and contact details of your child’s diabetes educator. The healthcare tasks covered in the diabetes management plans include insulin injections, blood glucose monitoring times and details, treatment of hypoglycaemia, treatment of hyperglycaemia, maybe aspects relating to sport, PE and assessment tasks/exams, depending on the age of the young person. Make sure the contact information for parents, carers, guardians and your child’s diabetes educator are up-to-date. Make sure if your child’s diabetes treatment changes, their diabetes action and management plans are updated by their diabetes treating team. Make sure everyone involved in your child’s diabetes care at school/early childhood setting meets at least once a year. The aim of this meeting is to make sure that all key staff are up-to-date with the child’s diabetes action and management plans and any health support that is required. Victorian diabetes action and management plans for schools and early childhood settings are available online. Parents need to make sure that they supply and restock the school/centre with all of the diabetes equipment needed by their child. Equipment needed includes a blood glucose meter, monitoring strips, lancet devices, hypo treatment and sport/activity food (all clearly named). The young person’s monitoring targets, frequency for checking their blood glucose levels (BGL) and the level of health support and assistance they need will be detailed in their diabetes action and management plans. Hypo kits will also be needed. It is often helpful to have more than one kit available. The kit could be a lunch box with a lid or similar type of container. 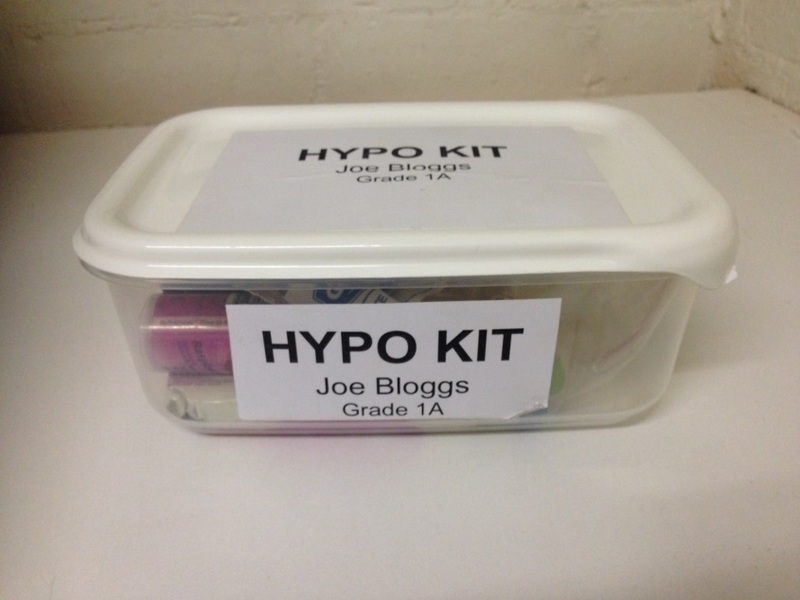 It should be clearly labelled as a hypo kit and include your child’s name and grade. The hypo kit should contain quick acting glucose and follow-up carbohydrates as outlined in the young person’s diabetes action and management plans. It is your responsibility to make sure that this kit is restocked (by you) regularly. We’d like to think that regular communication between home and school/early childhood setting happens readily, but the reality of busy lives means this can be challenging at times. At the start of each term, you might find it helpful to connect with the classroom teacher to confirm how and when they will contact you and you them, when needed. All communication needs to be current, clear, direct, respectful and documented. This may be through a communication book where you can both detail any relevant events and information. You might like to use a notebook or diary that goes between home and school every day, alternatively you might agree to text or email when needed. It doesn’t matter how it happens, it just important that it does happen. There may also be times during the day when you might need to be called, so make sure key staff know the circumstances in which you would want the school or early childhood setting to contact you. It’s vital that they have current emergency contact numbers for you and another adult nominated by you. Find out who will be your main contact point at the school or early childhood setting and the best way of getting hold of them. This is to ensure that any messages you need to pass on get to the right person who is caring for your child. Q: How can Victorian early childhood and school staff learn more about type 1 diabetes in the school setting to best support my child? meet with key staff to provide them with an overview of type 1 diabetes and work through your child’s diabetes action and management plans with them. Make sure that you spend time to demonstrate your child’s blood glucose meter and hypo box. encourage teachers and key support staff to attend a one day professional development workshop ‘Diabetes in Schools’. This workshop is available in Melbourne and regional areas of Victoria. Workshop training dates and registration are available online. encourage staff to phone and speak to your child’s diabetes educator if they need to clarify certain points or have further questions about your child. encourage staff to phone the Diabetes Helpline on 1300 136 588 for further help and support. Q: I am concerned about the level of diabetes care that my child is receiving at school. Who can help me with problem solving? discuss your concerns with the key staff at school or early childhood setting in an informal way. talk to the principal or vice principal, director/centre manager or class teacher in the first instance. pass on ‘Diabetes in Schools’ professional development flyers to early childhood and school staff or download the registration form. This training is available in Melbourne and regional areas of Victoria. speak to the social worker from your diabetes treating team, or call us at Diabetes Victoria and speak to our advocacy team. Our advocacy and education services team can provide individual help and support in addressing specific problems. Phone our Helpline on 1300 136 588, or email for further information. talk with staff responsible for student wellbeing at the regulatory authorities relevant to your sector. Q. What is type 1 diabetes? A: Young people with type 1 diabetes cannot produce the hormone insulin. Insulin is a hormone that regulates blood glucose levels and is essential for life. Young people diagnosed with type 1 diabetes must take multiple injections of synthetic insulin and regularly check their blood glucose levels throughout the day to stay healthy and well. Type 1 diabetes is a condition that does not have a cure, so these management tasks must be undertaken every day by the young person. Q: I have a child with type 1 diabetes in my class. What are my rights and responsibilities? support and encourage the student to perform their routine diabetes care activities as outlined in their diabetes management plan. communicate with parents as mutually agreed (daily? weekly?). access clear, current and accurate health information that could impact on a young person’s care and educational needs. volunteer to undertake or supervise healthcare tasks with appropriate education and training or choose not to undertake healthcare tasks that they are not comfortable with or not qualified to do. access professional development on diabetes. Q: What are my general responsibilities in class to a young person with type 1 diabetes? Being familiar with and following the young person’s diabetes action and management plans. (It will detail symptoms of a hypo and hyper. This will help key staff identify when the student’s blood glucose level might be getting too low or high). While hypos affect young people differently some common issues include a loss of concentration and a change in behaviour. Sometimes a hypo or hyper will cause a young person to misbehave and this is something they are not able to control. Sometimes symptoms may not be obvious. Q: Should we store the young person’s diabetes equipment in the sickbay? A: Some equipment can be kept in the sickbay but the majority of equipment should be kept in the child’s main classroom. The equipment should also go with the child if they attend subjects outside of their main classroom such as PE or art. This will ensure that the equipment is available for the student to use anywhere/anytime when required. The day-to-day management of diabetes is not a sickbay activity but a normal part of managing this chronic condition to keep the young person fit and well. By encouraging the student to undertake these self-care tasks in the classroom they are less likely to miss class time and feel different from their peers. For older students in secondary school who are moving from room to room they may prefer to carry around their own equipment and have back-up supplies in a home room or sickbay. If you suspect that the student is having a hypo (low blood glucose reaction) it is very important that the student is treated where the hypo occurs (provided it is safe to do so). Students suspected of having hypoglycaemia should not be sent to the sickbay for treatment. This delay in getting them to the sickbay and extra physical exertion to get there can make the student's ‘hypo’ worse. Diabetes equipment such as blood glucose meter, monitoring strips and hypo treatment should all be kept in the classroom where the student is and accessible at all times to the student when required. Managing the student’s diabetes on a day-to-day basis should not be a sickbay activity. The young person’s blood glucose meter, hypo prevention and treatment food will reside in a known and accessible location within the school and early childhood setting and made clear in the young person’s diabetes action and management plans. The location of these items will be decided by key staff in collaboration with the young person’s family and the young person if appropriate. Please refer to the Department of Education and Training’s and/or school/early childhood setting’s policy regarding sharps management and disposal. Insulin pump (continuous delivery via a small computerised device worn 24/7). The choice of insulin regimen is one that is made jointly by the family and diabetes treating team. Young people on a MDI regimen will need to have an injection of insulin at lunch time given by a pen-like device. Some young people will need assistance to give this injection, some may need supervision and older students may be able to do this independently. The details of the young person’s insulin administration will be documented in their diabetes action and management plans. Some other young people may use an insulin pump to deliver their insulin. Insulin pumps are an expensive, small computerised device that deliver small amounts of insulin continuously. They can also be programed to deliver insulin for meal times and when blood glucose levels are above target. Young people may need assistance or supervision with entering BGLs and carbohydrate amounts into their insulin pump (button pushing), depending on their age, developmental stage and length of time that they have been using an insulin pump. The young person’s insulin regimen and the degree of assistance they may or may not need will be detailed in their individual diabetes action and management plans. Q: What are my rights/responsibilities as a casual relief teacher? A: Your rights and responsibilities are the same as for the teacher you are replacing (refer to Department of Education and Training). Q: Where can I learn more about supporting a young person with diabetes in my care? A: Diabetes Victoria encourages schools and early childhood settings to send key staff to attend our information seminars for their professional development. Key staff may include classroom teachers, first aid staff, specialist staff (particularly PE), office and support staff. These seminars offer key staff the opportunity to expand their knowledge and become more confident in supporting and facilitating the day-to-day experience of young people with type 1 diabetes in their care. Sessions will include information about diabetes and diabetes management and practical workshops covering a variety of specialised topics in more detail including monitoring, pumps and camps. These sessions are available in Melbourne and regional Victoria. Further information can be found here. Although not specific to type 1 diabetes the following professional development opportunities and resources might offer some additional tools that might be helpful. Ronald McDonald Learning Program: The Ronald McDonald Learning Program is a national program of Ronald McDonald House Charities helping children with serious illness catch up on their missed education following lengthy hospital stays and absence from school. 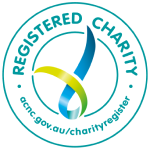 Royal Children’s Hospital Melbourne – Education Institute: The Royal Children’s Hospital Education Institute is committed to providing a rich learning experience for children and young people so that their journey as learners continues in hospital. This personalised inpatient teaching support aims to make the transition from hospital back to school or kindergarten as seamless as possible by keeping students connected to their regular learning environment and their peers. Q: Can diabetes affect learning? A: Yes, diabetes can potentially affect learning. If blood glucose levels are high too often or frequently low, a young person can have difficulties with attention, memory, processing speed, planning, organising and perceptual skills. A young person who has just had a severe hypo will likely need (up to 4 hours) recovery time before completing important classroom activities such as assessment tasks or exams. If you notice any learning difficulties in a young person, speak to the young person’s parent just as you would for any young person who is struggling in class. The problem may be related to their diabetes or it might in fact be something else. The goal is to support a young person with type 1 diabetes to achieve their full developmental and academic potential. The challenges of keeping diabetes well managed may also impact on a young person’s ability to cope and their mental health. For these reasons, it’s crucial that a young person is supported to manage their diabetes in all aspects of their life, including their time in school or early childhood setting. The student will also need to attend some of their medical appointments during school hours. Most students will meet with their diabetes health specialists and/or treating team at least every 3 months. Q: Who are the diabetes treating team and what do they do? A: Type 1 diabetes is a very complex condition to manage and requires specialist care by health professionals who are experienced in paediatric type 1 diabetes. A diabetes treating team usually consists of health professionals involved in the young person’s diabetes care and includes a paediatric endocrinologist, diabetes educator, dietitian and social worker. In some regional areas there might not be access to a paediatric endocrinologist, and the young person will see a paediatrician instead. Diabetes educator: A diabetes educator is a specialist nurse and usually the main person who will work with and help a person and family living with type 1 diabetes understand and optimise their self-management of living with the condition and prevent complications. Paediatric endocrinologist: A paediatric endocrinologist is a doctor who specialises in the diagnosis and treatment of children with conditions of the endocrine system. They can provide expert advice on the management of type 1 diabetes. Paediatrician: A paediatrician is a doctor who provides specialist medical care to infants, children and adolescents. To become a paediatrician, doctors must do an extra 6 years of training after they finish their medical degree. Dietitian: A dietitian is trained in food and nutrition. They can provide expert individual nutritional advice and develop a personalised healthy eating plan that suits a person’s lifestyle, type of diabetes and individual health needs. Diabetes social worker: A diabetes social worker can assist with the emotional and psychological side of living with type 1 diabetes for the young person and their family. They can also inform and support key staff with any matters about diabetes in schools and early childhood settings if required. Q: Do I need to provide a separate plan if my child attends camp or an overnight stay? the treating team enough time to complete. The treating team will require a copy of the camp activity plan and camp menu. the school enough time for the relevant staff members to be trained in diabetes and possibly insulin and glucagon administration. Provide all diabetes equipment, e.g. insulin and syringes/pens, insulin pump supplies if applicable, blood glucose meter, finger prick device, blood glucose/ketone checking strips. Hypo treatment and extra activity food. Establish and agree on clear methods of communication between the young person, their family, allocated key school staff and treating team 24/7. Establish who is responsible for the diabetes care/supervision of the child while on camp. More than one staff member should receive the diabetes training. Q: What does my school need to do in preparation for overnight stays and camps? Give the family advance notice of the camp. Provide the family with camp menu information to assist with preparation of a camp management plan by the diabetes treating team. Be available to meet with the respective family prior to the camp. Establish who is responsible for care/supervision of the young person’s diabetes care while on camp and ensure that these people have received adequate diabetes training. The diabetes treating team can help to establish what training is required and who is able to provide the training. Agree on a clear method of communication between the young person, their family, allocated key school staff and treating team 24/7. With overnight school camps, a young person will need insulin injections given/supervised as well as monitoring blood glucose levels. This will usually also include monitoring during the night (even if not regularly done at home). Depending on the length of the excursion or camp, young people on pumps may need to do a pump line change. Speak to your diabetes treating team about preparing a specific camp management plan. Q: Are there special considerations for young people with type 1 diabetes when sitting for exams and/or assessment tasks? A: Yes. Victorian equal opportunity laws and the Victorian Curriculum and Assessment Authority (VCAA) state that schools are required to make ‘reasonable adjustments’ for exams and assessment tasks for people with type 1 diabetes. permission to leave the room under supervision. Talk with your child and teachers to work out what is needed well before the assessment task or exam starts or visit the VCCA website. Young people with type 1 diabetes should check that their BGL is >4mmol/L before an assessment task or exam as best cognitive function occurs with a BGL as close to normal range as possible (4-8mmol/L). It can take up to four hours for a person’s brain to function at its best following a severe hypoglycaemic episode (i.e. requiring help from another person). At all year levels, students are encouraged to check their BGL’s before any exam or assessment tasks and act if below 4mmol/L. Q: Can I apply for special provisions within the Victorian Certificate of Education (VCE) and the Victorian Certificate of Applied Learning (VCAL)? A: Yes. In Victoria, people with type 1 diabetes completing either VCE or VCAL are able to apply for special provisions for classroom learning, school-based assessment and VCE external assessments. The application for special provision should be made at the beginning of the school year. Your school’s year level coordinator is the person responsible. They will ensure students with diabetes have the most appropriate fair and reasonable arrangements so they can demonstrate their capabilities where their learning and assessments are affected by illness, impairment or personal circumstances. Further information is available on the Victorian Curriculum and Assessment Authority (VCAA) website. You may need to consult your diabetes healthcare team to provide support letters. Q: How important is mental health and emotional wellbeing? A: Emotional wellbeing is an essential part of living a healthy life and managing diabetes. The everyday demands of managing diabetes can impact on a young person's emotional wellbeing which may lead to diabetes related distress, diabetes burnout, anxiety and/or depression. Q: What is diabetes related distress? Q: What is diabetes burnout? A: Diabetes Burnout develops when a person grows tired of managing the everyday demands of diabetes which may lead to an individual ignoring or neglecting day-to-day diabetes management. A: Depression is a serious and chronic condition that affects a person's physical and mental health, resulting in an inability to enjoy and carry out usual daily activities. A: Anxiety is more than just feeling stressed or worried. While stress and anxious feelings are a common response to a situation where we feel under pressure, they usually pass once the stressful situation has passed, or ‘stressor’ is removed. Anxiety is when these anxious feelings don't subside – when they're ongoing and exist without any particular reason or cause. A: Stress is experienced by all at some stage, and we all react in different ways. It is important to recognise that stress can have a direct effect on blood glucose levels which may cause them to rise. This is due to the release of stress hormones such as adrenaline and cortisol. The potential impact of stress depends on the individual as everyone deals with stress in different ways. Q: Who can I contact for further help and support? A: If you are concerned about the mental or emotional health of a young person with type 1 diabetes there is help and support available. Diabetes treating team: Start by talking to your diabetes treating team. This team is experienced in dealing with the emotional aspect of living with type 1 diabetes. The diabetes social worker can help if you have concerns about the emotional wellbeing of a young people with diabetes, you need information and support to help young people and parents/guardians or want to discuss any matter about diabetes at school or early childhood setting. Contact details for the treating team can be found on the student’s diabetes action and management plans. If you are unsure who to contact, call the advocacy team at Diabetes Victoria on 1300 136 588. Diabetes Victoria advocacy team: You can contact the advocacy team by calling our Helpline on 1300 136 588. 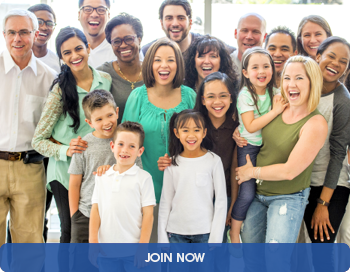 Peer support: Click here to find a diabetes support group near you. 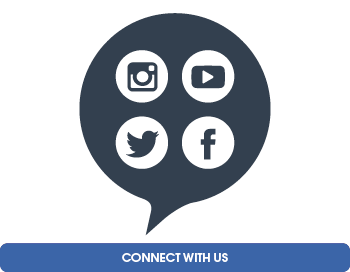 Social media support: Join the Oz Diabetes Online Community (OzDOC). Q: What are some myths and facts about type 1 diabetes? A: Let’s put the record straight. People say lots of different things about type 1 diabetes – but not all of it is true. Myth 1: Young people get type 1 diabetes because they eat too many lollies. Not true. We don’t fully know what causes type 1 diabetes and why some people get it and others don’t. But we do know it’s not something you can prevent – and it’s definitely nothing to do with eating lollies (or eating sugary foods). Myth 2: Young people get type 1 diabetes because they are overweight or used to be overweight. Not true. Young people don’t get type 1 diabetes because they’re overweight or used to be overweight. Type 1 diabetes has nothing to do with weight or lifestyle. Being overweight puts people more at risk of type 2 diabetes which is rare in young people. Not true. They are two different health conditions. People with type 1 diabetes don’t produce any insulin, so the only way to treat it is with insulin injections or a pump. It usually develops before you are 40, and is the most common type of diabetes found in young people. People with type 2 diabetes don’t produce enough insulin or their insulin isn’t working properly. It can be treated by a combination of eating a balanced diet, keeping active and medicines which might include insulin. It usually occurs later in life and is much more common in adults. Not true. There is no known cure for diabetes. Once a young person is diagnosed with type 1 diabetes they will have it for life. But it can be successfully managed by taking insulin, eating a healthy balanced diet and keeping fit and active. Not true: Young people with type 1 diabetes should follow the same nutrition guidelines that are recommended for all young people – food that is low in saturated fat, salt and added sugar and includes regular carbohydrates and at least 2 portions of fruit and 5 serves of vegetables a day. No food is out of bounds, including lollies, chocolate and birthday cake, just like for other young people. But too many lollies and chocolates aren’t good for anyone, so they should be a treat rather than a regular snack.